Bond investors have been hit hard over the past one-and-a-half year. For those in fixed deposits, the interest rates have been low and bonds/debt fund investors have been hit by tepid returns on account of rising bond yields. Currently the preferred strategy remains corporate credit, with exposure to both accrual and credit opportunity strategies. The 10-year g-sec yield in India moved up to ~8% from a low of 6.2% recorded in December 2016. Interest rates on bank fixed deposits too have started increasing over the last quarter. Though the RBI has kept policy rates unchanged so far, expectations of a rate hike in the near term are getting stronger. The possibility of a rate hike comes due to, increasing crude prices -anticipated spike in inflation, depreciating rupee – rising interest rates in the US, and possibility of accelerated economic growth in the Indian economy. As interest rates are expected to rise, it makes sense for investors in the lower tax slabs to invest in fixed deposits maturing within one year (as short as possible). Investors should get an opportunity to roll over their fixed deposits at a higher rate over the next year. The bond markets are expected to remain volatile, though it may remain range bound. If yields move up again, then bond prices will fall, which will result in a capital loss to investors. Long term gilt funds have been facing tough times due to rising yields over the last one & a half years. RBI repo rates have not been changed from August 2017 (at 6%) while g-sec has shot up sharply during the period. The benchmark bond yield is expected to hover between 7.5% and 8% over the next six months as I feel a couple of rate hikes are already factored in. Historically, NBFCs offer 25-75 bps higher interest rates for retail investors in their retail bond issues, thereby making the instruments attractive compared to other debt instruments like bank deposits. Deposits of HDFC, Bajaj Finance, PNB HF etc. are all good options. Investors in lower tax brackets can tap this opportunity going forward. They should be prepared to hold on to their NCD investments till they mature as their price may fall in between if interest rates were to rise going ahead. 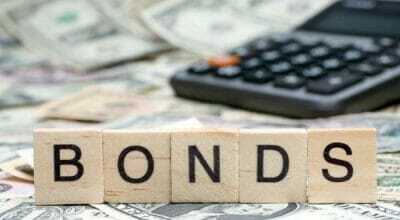 Investors falling in the high income tax bracket may choose to invest in debt mutual funds- short term/ultra-short term bond and credit risk opportunities funds to optimize returns.